Republican Sen. Marco Rubio has introduced legislation that would allow parents to cash in a portion of their future Social Security benefits early to finance family leave. He's billing the proposal as pro-family, but it would actually hurt families by worsening the program's already dire financial problems. Rubio's bill would give new parents the option to take at least two months of paid leave, in exchange for delaying their Social Security benefits for three to six months after they retire. Rubio’s passion for providing paid family leave is admirable, but his proposed solution is fundamentally flawed. The Social Security system is currently not financially stable, and allowing more benefits to be drawn from the trust fund will only quicken its existing death spiral towards bankruptcy. Rubio tried to argue that his paid leave plan isn’t funded via Social Security per se, but with individual Social Security benefits. He tweeted on Friday, “I don’t want to fund #PaidFamilyLeave with #SocialSecurity. I want working American parents to have the OPTION of funding THEIR paid leave by drawing early on a portion of THEIR social security benefits which THEY paid for with THEIR taxes.” But this isn’t really how Social Security works. [post_ads]When you pay your Social Security taxes, that money is used to make Social Security payments to retirees. It’s not as if you pay into a personalized government bank account during your working years and draw from that bank account after retiring. Your money is immediately used to pay benefits for current retirees. If more money is paid in taxes than paid out in benefits, the surplus enters the Social Security trust fund. Unfortunately, a 2017 report from the Social Security Trustees found that the trust fund will be completely depleted by 2034, because we have consistently been paying out more than we’ve been putting in due to shifting population demographics, among other factors. If the trust fund is used to pay for family leave, funds will certainly run out even sooner than 2034. Bankrupting future generations is not in children’s best interest. Legislators who care about families should not be attempting to wedge additional entitlements into Social Security, but searching for a solution that doesn’t throw today’s kids into financial ruin. “If someone has a better idea that doesn’t raise taxes, doesn’t grow government, doesn’t burden economic growth, I’d be glad to take their plan over ours," Rubio said at a press conference. In fact, there are better ideas out there that fit his stated criteria. Policymakers don’t need to panic and push through a new program just because it is not as bad as the others; there are options that uphold the ideals of the free market and limited government. First, policymakers should put the states, not the federal government, at the center of paid family leave. Expanding the powers of the federal government further isn’t conservative or, arguably, constitutional. Rubio recently announced that he plans to support Judge Brett Kavanaugh’s nomination to the Supreme Court because of his “stated commitment to interpreting and defending the Constitution as written.” Yet the Founders didn’t envision a future in which the federal government operated a thinly veiled Ponzi scheme that relieves Americans from their responsibilities to save for retirement and childbirth. In fact, Social Security may not even be constitutional. The Supreme Court declared old-age insurance constitutional in May 1937 in Helvering v. Davis. Just a few months earlier, however, President Franklin Delano Roosevelt had announced a scheme to pack the court to get more favorable decisions on his New Deal programs. In what is widely viewed as an attempt to preserve institutional integrity, some conservative Supreme Court justices began to support the constitutionality of Roosevelt’s New Deal programs, one of which was Social Security. Thus, historical evidence suggests that this decision was the result of intense political pressure rather than sound constitutional jurisprudence. But this interpretation of “general Welfare” is not the one that prevailed in the nation's early years, when the people who wrote and ratified it were still alive. James Madison and Alexander Hamilton possessed disparate views of what the “general Welfare” meant. Madison advocating for a limited view and Hamilton an expansive one. But for the first seven or so decades of American life, Madison’s view prevailed. Congress was understood to have the power to finance its other enumerated powers, rather than spend on any project its members believed would improve the welfare of the people. It was FDR who challenged this status quo significantly and successfully during the Great Depression. Rubio’s commitment to constitutional integrity should extend beyond judicial appointments to his legislative proposals. A federal paid family leave entitlement rests on constitutionally tenuous ground, because this sort of spending, if it has a place in government’s sphere at all, could very well rest at the state and local levels. Second, policymakers should place businesses, not government, at the center of paid family leave. 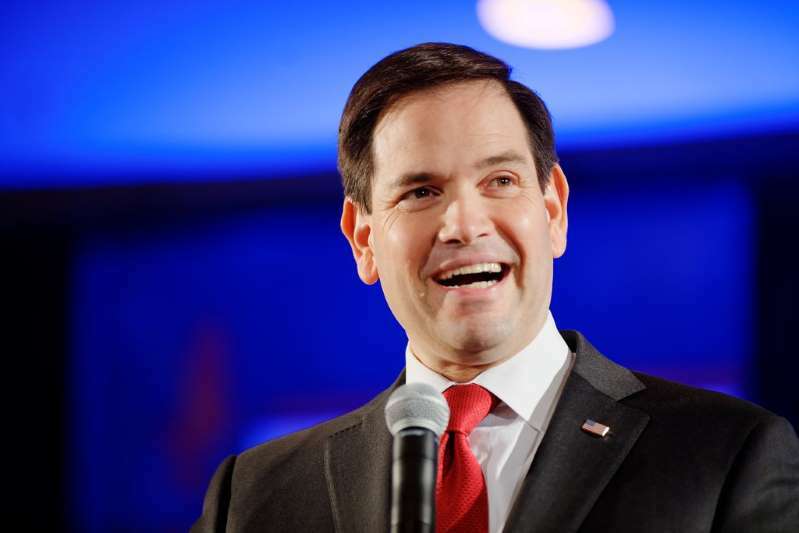 If Rubio’s plan were made law, it would disincentivize businesses from offering paid leave. More employers would expect parents to support themselves while caring for a new child, because a parental leave benefits package would not be as impressive an incentive for prospective employees. Businesses are already leading the way on this, proving government intervention is unnecessary. According to the National Partnership for Women and Families, a nonprofit whose advocacy extends beyond government lobbying to campaigns to influence businesses, more than 100 businesses have begun to offer paid leave or expanded their existing leave programs in the past three years alone. The business momentum is clearly growing, and paid leave advocates should focus on the private sector, rather than the public sector, to achieve their goals. We don’t need to follow FDR further down the road to big government and ever-expanding entitlements. Truly child-oriented policy should focus on sustainable, business-oriented approaches, not on entitlement programs that future generations already need to bail out one day. The very same children whose parents take advantage of a paid leave program like Rubio’s will end up paying higher taxes and receiving fewer benefits as grownups. Intergenerational redistributionism is never pro-family, regardless of how many “family-values conservatives” get on board.